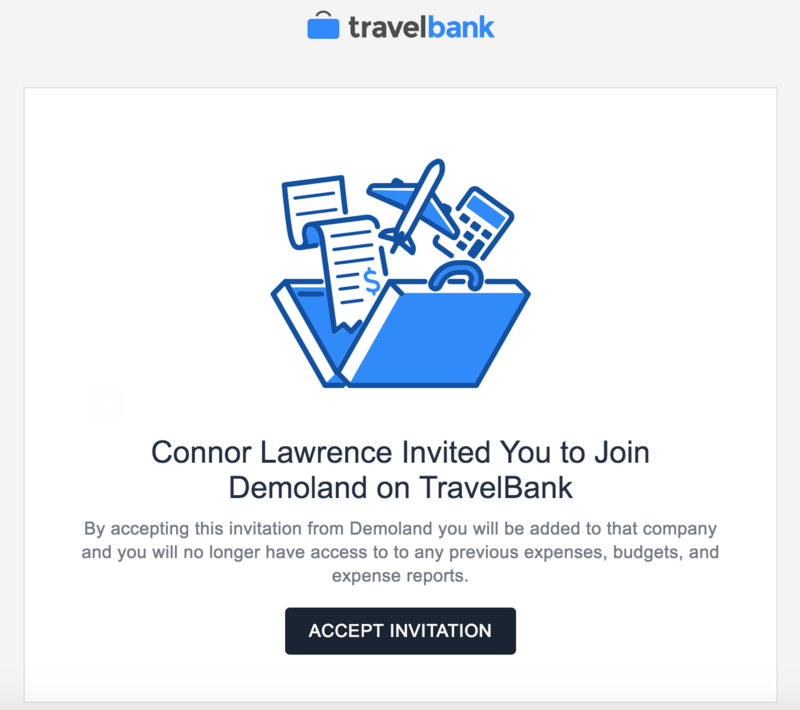 There are two ways to invite users to join your company account on TravelBank. To add users, tap the Menu icon found in the top left of the app (if you are on Desktop just click Company Settings). From there, scroll down and select "Company Settings". This will open a new screen with an "Invite" button at the top. Tap here to enter your co-worker's email. Now just enter your co-worker's email and proceed to fill out their profile details (name, department, whether or not they will be an admin on the account, and decide whether or not they will be approving expense reports for a department). That's it! Your colleague will receive an email inviting them to join your company on TravelBank. Once they download the app and go through the signup process they will be attached to your company account and can start capturing expenses and booking flights! If you need to remove an employee from your organization, head to Company Settings > Click on the user you wish to deactivate (click See All to see an expanded searchable list) and click Deactivate on their profile to complete the deactivation. Their previous reports and expenses will still be available for you to view for tax and reporting purposes but their accounts will no longer be accessible.